Problems Sending Mail – Receiving is Fine? If you cannot send mail, the problem is likely a restriction by your ISP (Internet Service Provider) as many block the normal sendmail port 25, due to their own security concerns. This can be the case even if sending was working recently as some ISP’s roll these changes through without warning. Simply changing to port 587 will resolve the problem for you. 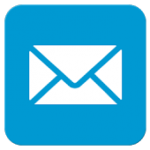 UKC > Support > email > Problems Sending Mail – Receiving is Fine?